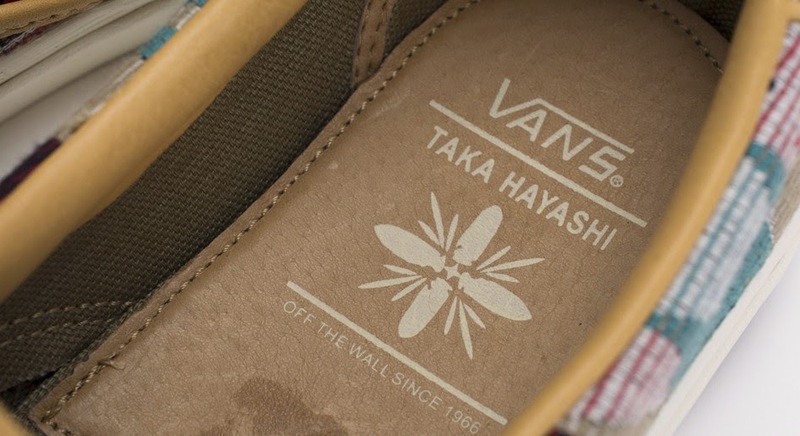 The Vans Vault collaboration with Japanese designer Taka Hayashi has always produced interesting sneakers. 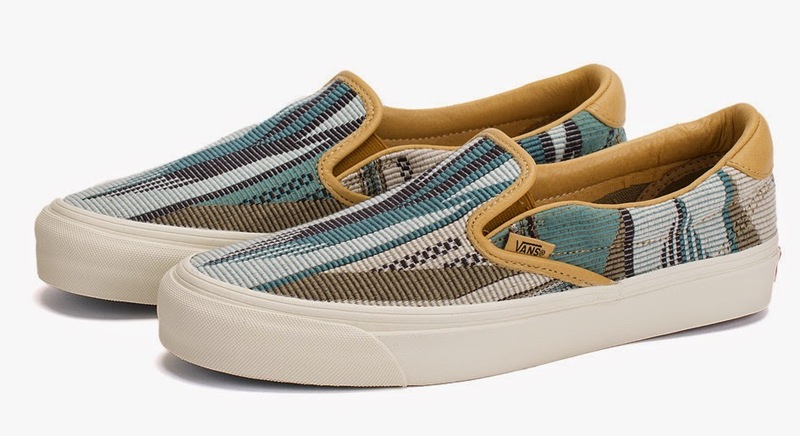 The collaboration saw the release of the Chimayo series this summer and here is the latest update of that series on an OG Classic Slip On 59 LX. 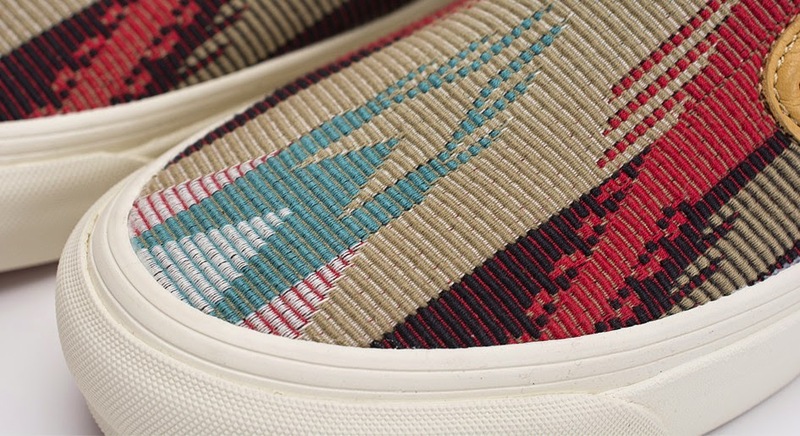 The nods to traditional New Mexican basketry and the cool color ways make this shoe, together with the silhouette, a great one to add to your Vans collection. 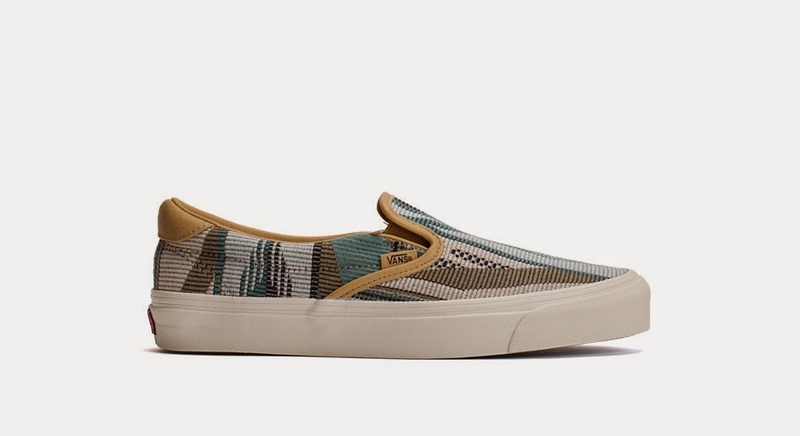 Executed in the Chimayo fabric and trimmed in leather. 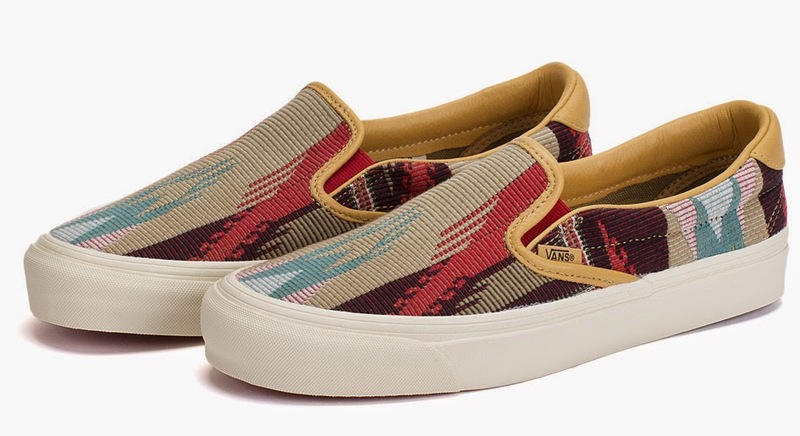 Available now in both color ways at BowsAndArrowsBerekeley.